Most of the images are of Dominica. see http://BookingsDominica.com. This video gives an overview of the nature side of adventure travel with some activities interspersed. 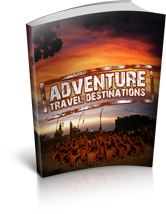 We will cover the 3 aspects of adventure travel separately; activity, culture and nature. In upcoming video we will cover specific tours and specific destinations as well as hotels and activities in the destinations.